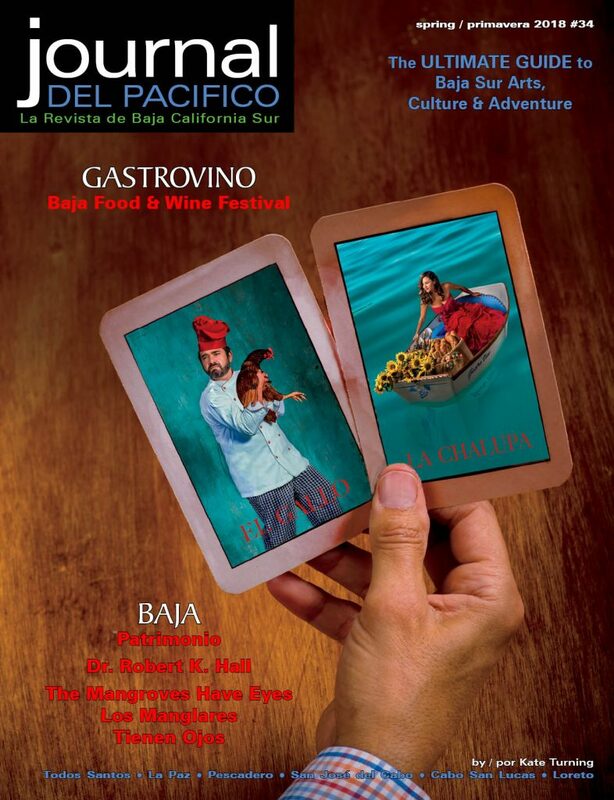 The second annual GastroVino Festival takes place in Todos Santos this weekend. The main festival will take place in the Plaza Pública Sunday May 5th, from 2 to 6 pm. This year, there will also be a special pairing dinner at Santo Vino on Friday, May 3rd, a pre-celebration bubbly tasting at La Bodega de Todos Santos on Saturday, May 4th, from 2 to 4 pm, and many more related events. All tickets are available at La Bodega de Todos Santos on Calle Hidalgo. Tickets for the main event on Sunday can be purchased at El Tecolote Bookstore and La Bodega de Todos Santos. The Festival is dedicated to celebrating the gastronomy and wines of Baja California. Designed for lovers of fresh local cuisine and quality Mexican wine, this is a time to get to know local chefs from the Todos Santos area and their creations and also winemakers and their wines from the North of Baja in a festival atmosphere. Some of the Peninsula’s best winemakers from Cavas Valmar, Cavas Maciel, Las Bodegas de Santo Tomás, L.A. Cetto, Baron Balch’é, MD, Viña Doña Dolores of Querétaro and Todos Santos’ new Sierra Laguna winery are just a few of the wineries who will be at the festival. Entrance fee is 300 pesos at the door and includes a festival-engraved wine glass to taste wines and also five free samples of any of the restaurant’s specialties. All wineries and restaurants will also sell wine by the glass, by the bottle and food by the plate at special prices. The festival also offers excellent live music and entertainment all afternoon long. Last year over $6000 USD was raised for the local Internado, an organization dedicated to housing children who come from the surrounding ranches to attend school in Todos Santos. These funds enable big improvements in their facility such as adding a water purification system, new restrooms, newly painted classrooms/dorms, and more. This year 100% of the funds raised by the silent auction will go to the local Bomberos Fire Department which is in great need of new equipment. Fiesta de Vinos – Exclusive VIP Party at Hotel California featuring 8 select wines and the winemakers from Cavas Valmar, Vinos Shimul, Freixenet, Vinart and special appetizers prepared by Chef Dany Lamote. Live Music and lots of gourmet fun. 800 pesos. 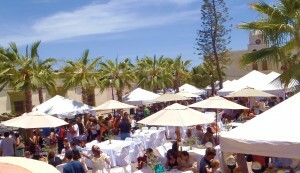 GastroVino Festival – in the Plaza Pública of Todos Santos. Includes your very own commemorative wine glass, tastings of numerous Mexican wines, appetizers and special plates from local restaurants at only 60 pesos, special by-the-bottle prices, silent auction to benefit local charities, Live Music and a fashion show. Tickets are 300 Pre-Sale; 350 Day-Of-Event. GastroVino After Party – on the SkyDeck of Guaycura to enjoy the sunset and complete a fun, vino-filled weekend!